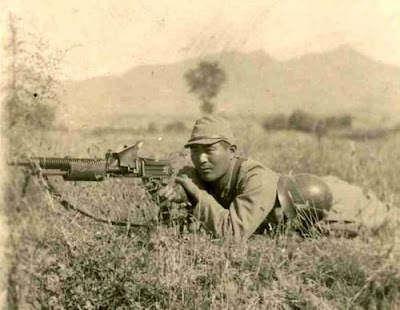 Combat experience in the Russo-Japanese War of 1904-1905 had convinced the Japanese army of the utility of machine guns to provide covering fire for advancing infantry.This was reinforced by the first-hand observations of European combat tactics by Japanese military attachés during the First World War, and the Army Technical Bureau was tasked with the development of a lightweight machine gun, which could be easily transportable by the infantry squad. The resultant “Type 11 light machine gun” (named after the 11th year of the reign of Emperor Taishō, or 1922) was the first light machine gun to be mass produced in Japan and the oldest Japanese light machine gun design to see service in the Pacific War. 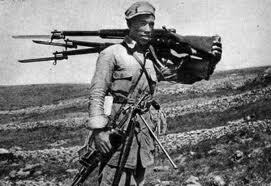 It was superseded by the Type 96 Light Machine Gun in 1936. 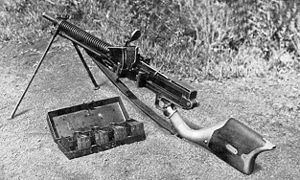 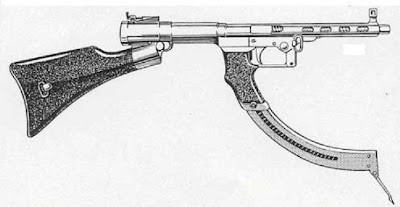 The Type 11 Light Machine Gun was a design by famed arms designer Kijirō Nambu, based on a modification of the French Hotchkiss machine gun. 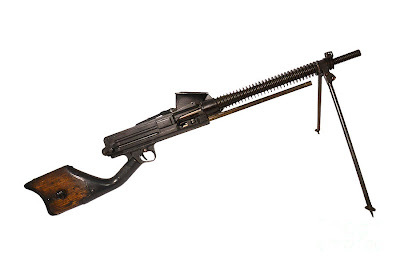 It was an air-cooled, gas-operated design, using the same 6.5x50mm Arisaka cartridges as the Type 38 infantry rifle. 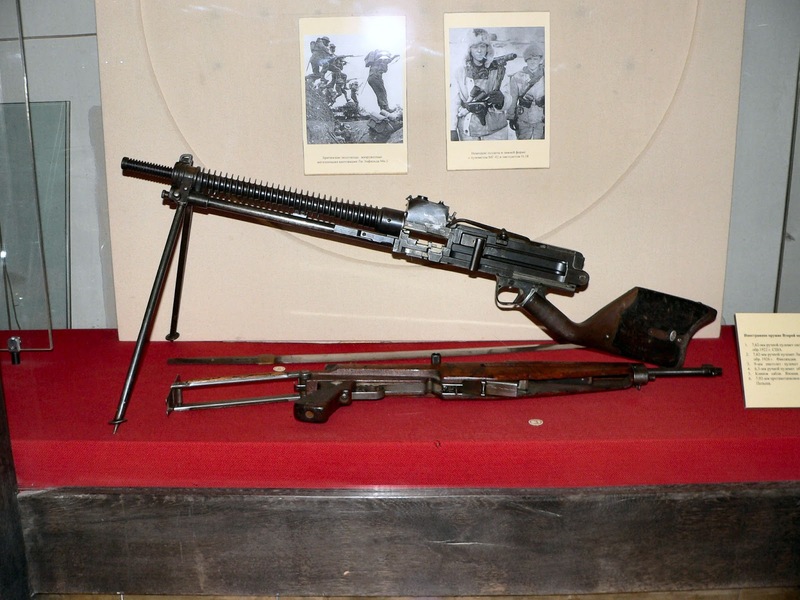 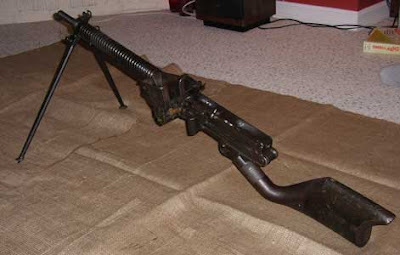 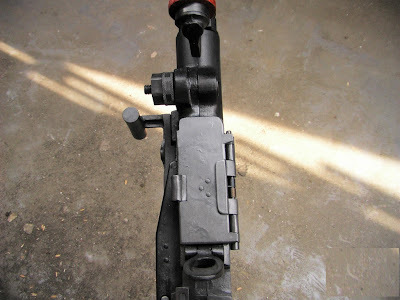 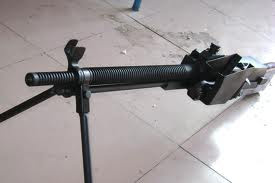 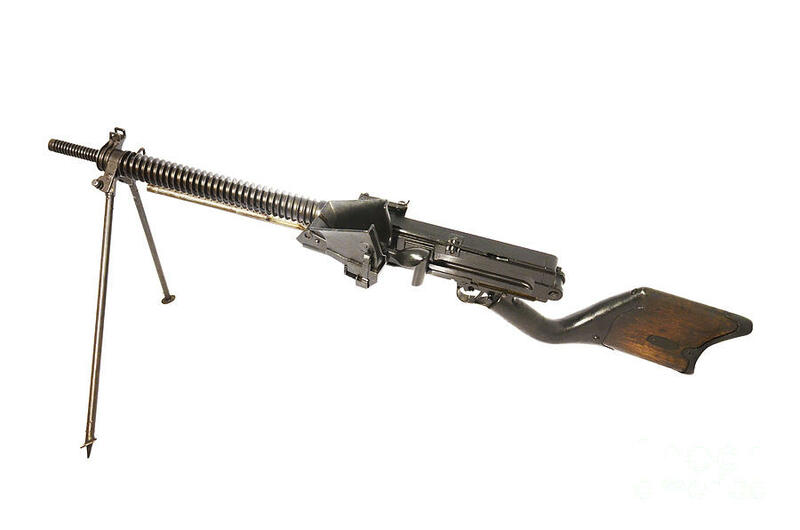 A remarkable feature of the Type 11 machine gun is its detachable Hopper magazine; it can be refilled while attached and does not require removal during operation. 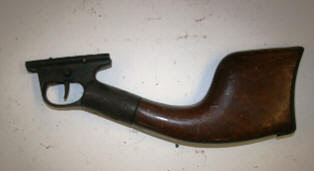 Instead of a belt or box magazine, the Type 11 was designed to hold up to six of the same cartridge clips used on the Type 38 rifle. 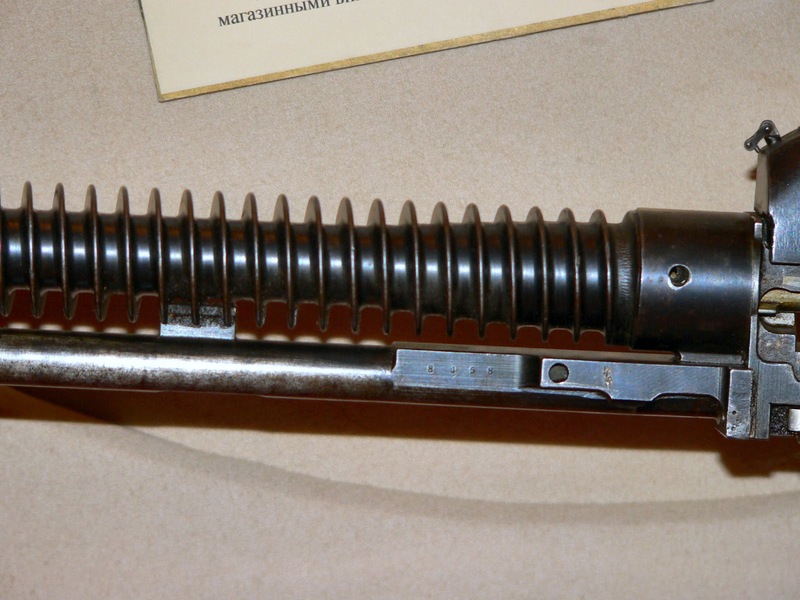 The five-round clips were stacked lying flat above the receiver, secured by a spring arm, and the rounds were stripped from the lowest clip one at a time, with the empty clip thrown clear and the next clip automatically falling into place as the gun was fired. 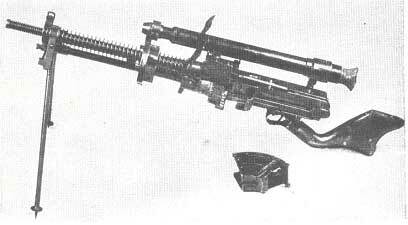 The system had the advantage that any squad member could supply ammunition and that the hopper could be replenished at any time, but later the Japanese had to design a less powerful round because the original round was causing reliability problems, thus eliminating the advantage of compatibility. 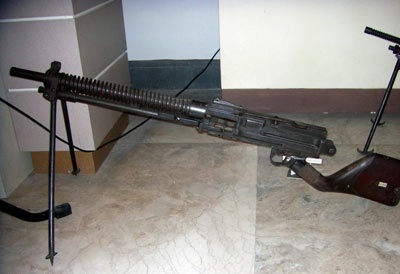 This new round was called the 6.5x50mm Arisaka genso round. The inherent disadvantage of the hopper was that the open feeder box allowed dust and grit to enter the gun, which was liable to jam in muddy or dirty conditions due to issues with poor dimensional tolerances, which gave the weapon a bad reputation with Japanese troops. Another issue was that the weight of the rifle cartridges in the side-mounted magazine unbalanced the weapon when fully loaded. Reloading the weapon during an assault charge proved impossible due to the clip feeding system.